The Iranian companies Islamic Republic of Iran Shipping Lines (IRISL) and Iranian Offshore Oil reached preliminary agreements with South Korean shipyards for placing orders at total worth 2.4 billion USD. The agreements are part of efforts by Iran to return at the global shipping after the lifting of international sanctions earlier this year. The companies are in urgent need of fleet modernization, due to the poor condition of the currently operating vessels. The financial part of the deal is not yet completes and transactions depend on agreed payments and funding of the purchase orders. If Iran achieve oil deals with the South Korean government, Seoul may provide the necessary guarantees for advance payments to the shipyards. The both sides negotiate advance installments before placing the orders. According to the officials, the contracts must be completed until the end of Q3 2016. “South Korean shipyards prepare free slots for Iranian orders, starting from 2018 and 2019”, said the officials of South Korean government. “Iranian companies are trying to cover 20% of advance payments by oil interstate transactions to finalize orders”, adds the unnamed officials. 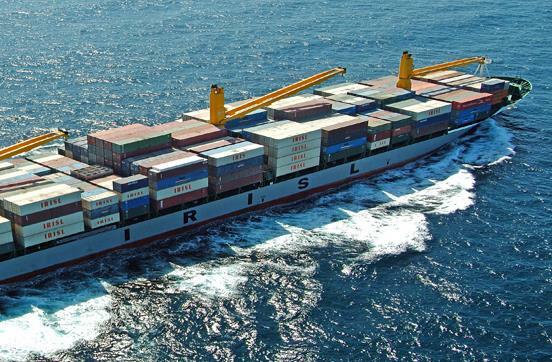 Islamic Republic of Iran Shipping Lines (IRISL) operates a fleet of container ships, bulk carriers and tankers. The company signed a memorandum of understanding with Hyundai Mipo Dockyard, a subsidiary of the shipbuilding company Hyundai Heavy Industries Group, for construction of 10 crude carriers and 6 bulk carriers. The total value of the transaction is assessed to 420 million USD. The company is in talks with Hyundai Heavy Industries for another 6 container ships, but China Dalian Shipbuilding Industry also included in the contract competition. Iranian Offshore Oil, a subsidiary of state oil giant National Iranian Oil, is in advanced talks on behalf of at least five coastal drilling platforms with Daewoo Shipbuilding & Marine Engineering for around 205 million USD each.